As what well said, foods are important to mankind and food safety is of utmost importance to all. We are extremely cautions and careful in ensuring our product quality and we therefore view seriously the product certification process, making sure the consumers will be getting product worth their spending. Our manufacturing plant meets the GMP, HACCP and KKM certification standards, the product quality is absolutely assuring. All products must go through stringent testing and inspection, ensuring the certification standards are met at all times. In addition to that, from the carefully selected manufacturer and supplier to our own warehousing facilities, we practice strict monitoring procedures along the product supply chain, in assuring highest qualities are being observed from raw materials to finished products. 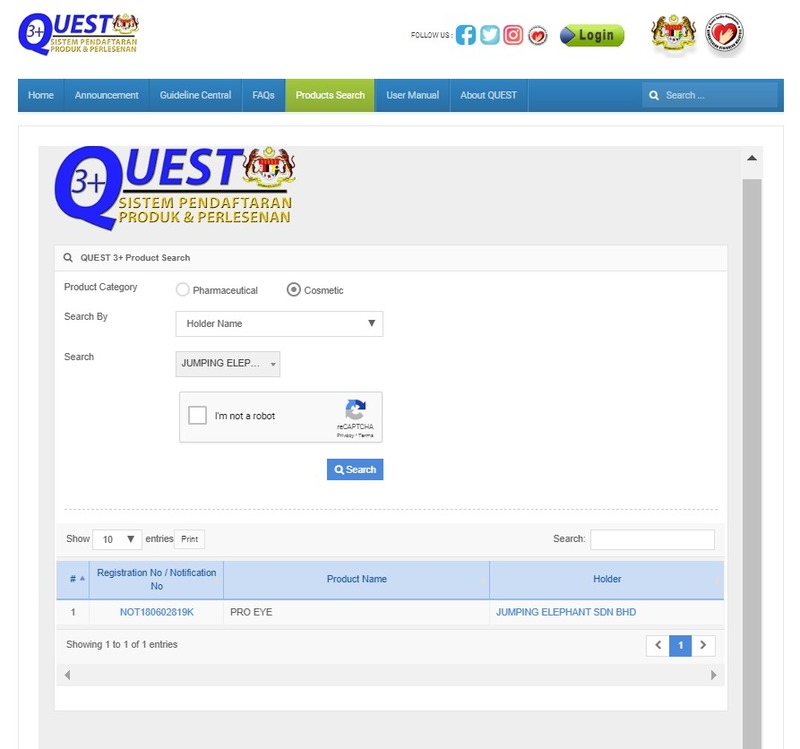 Ingredient test approval and release for sale by Ministry of Health Malaysia. Gaining this certification means our production and monitoring processes complied strictly to the quality standard requirements. This food safety certification indicated that on every stage of our product, from raw material purchase till usage of finished products, are produced in a hygienic environment. Gaining these certification means that our product had gone through and met the ingredient analysis and test requirements by the Ministry of Health, contents free of prohibited drugs or ingredients harmful to human body, safeguarding the benefits of both selling and buying parties. Do it and do it best! In Jumping Elephant Sdn. Bhd, we have adopted the most stringent safety standards in product R&D., committed on using only low invasive formulation and herbs that also provide skin care benefits, strictly exclude any ingredients that cause irritation on sensitive skin, minimizing whatever possible irritation that might happen on sensitive skin.